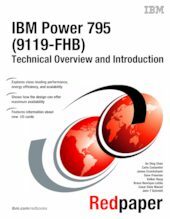 This paper complements the available set of IBM Power Systems documentation by providing a desktop reference that offers a detailed technical description of the Power 795 system. What is happening with the Technical Overview and Introduction papers? IBM Power Systems - it is all made by one company!